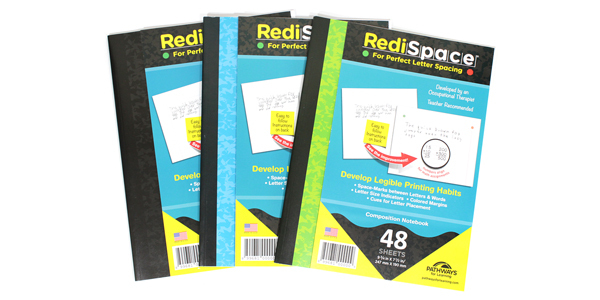 RediSpace is a patented writing paper for 2nd graders through middle school and works very well for science and math to improve both handwriting legibility and alignment of numbers. 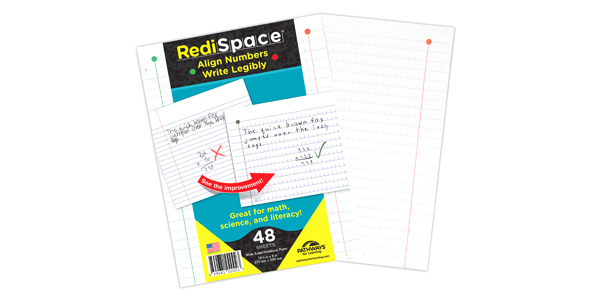 RediSpace is a better alternative than graph paper as it allows for the alignment of numbers and is the proper paper for writing as well. It also works very well for kids to slow down and write neatly, like how we slow down and write neatly when filling in a credit card number on a form.